Having been to a couple of other bridal shops when searching for the perfect dress I finally got to my last option on my list which was Browns Bride. I had so far realised that although dresses were nice the experience when trying them on were not so great. I arrived at Browns only to be greeted by a bubbly lovely girl called Parisa who straight away made my mum and I feel at ease and started to make us feel like this was going to be a fun experience. I chose a few dresses that stood out to me and started the process of trying them on. One stood out in particular whereby my mum started to cry and Parisa started to cry with her and of course it immediately had a domino effect. This is when I knew that dress was the one! I even had the creative director of the designer of the dress himself coming in and the team of Browns. It made me feel very special! From that moment on I had a wonderful lady called Andrea who looked after me at my fittings and new exactly how to make it fit like perfection and we even put a little of our own stamp on the dress. 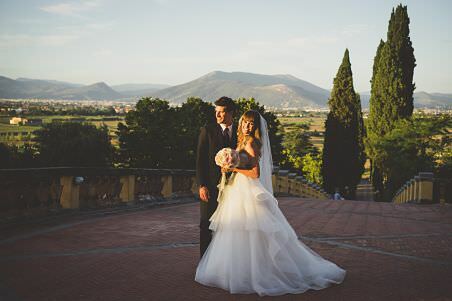 Overall if you want to feel like a bride and have a memorable experience when building up to your special day then this is the place to go. From the start to the finish line the team at Browns make you feel as part of the family to the point where you end up wanting to make them all your bridesmaids at your wedding because you genuinely create a bond. Thank you to all the team at Browns Bride and a very special thanks to Parisa and Andrea for making me feel like a Princess. 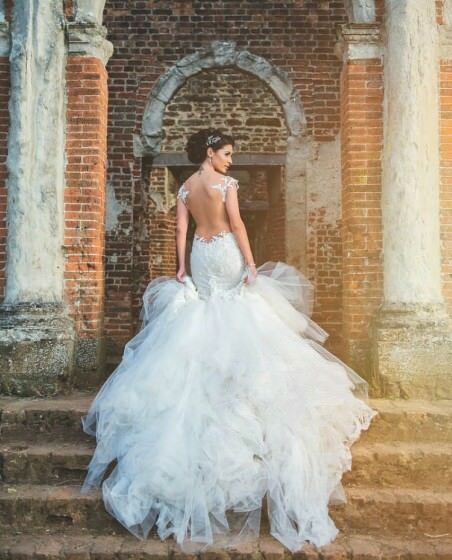 There’s nothing but positive things that I can say about my experience at browns bride! Each and every member of staff made me feel like a princess from start to finish. 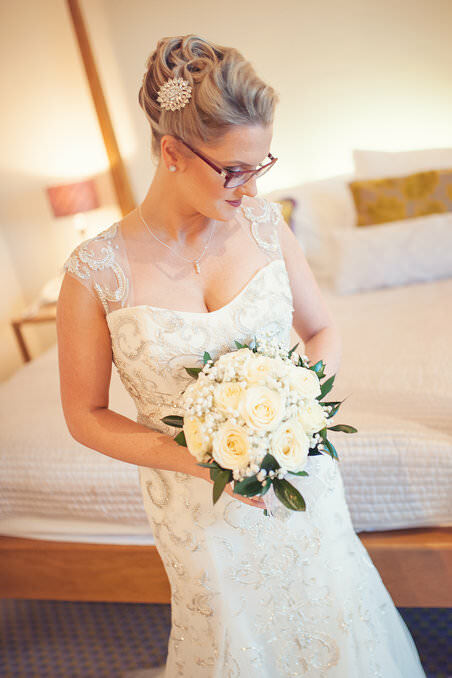 I felt confident and 100% with my wedding dress as staff went above and beyond to make sure I looked perfect. The best service that I could have wished for, I want to do it all over again! Thank you browns bride for making me feel like a superstar! My experience with Browns Brides was fantastic, right from the moment my mum and I walked into the store. The shop is lovely and the champagne on arrival added to the sense of occasion. The experienced staff were very helpful in terms of listening to what I had in mind and understanding what would suit me. I’d had mixed success in my dress search before visiting Browns Brides, but the staff were able to guide me towards the perfect dress without any stress. The alterations service is excellent and I felt in very safe hands. 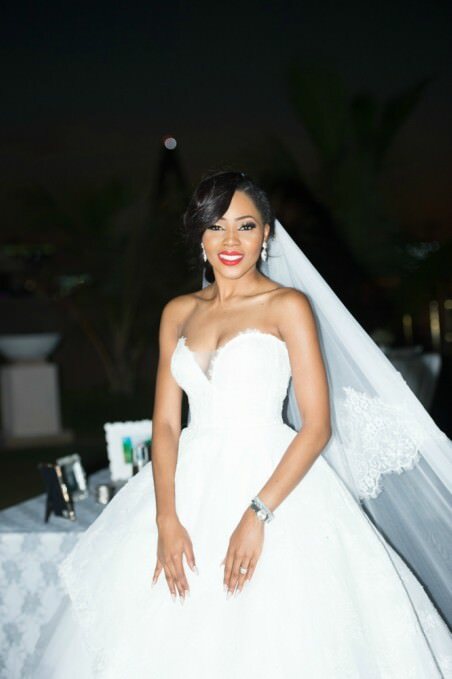 I felt like a true princess on my wedding day and could not have wished for a better dress – thank you Browns Bride! Well where to start is the question in describing what a wonderful experience I had at Browns Bride. As soon as I walked through that door I was made to feel amazing. Meeting Isabelle was a real highlight of my wedding Prep, she is a wonderful soul who made me feel so special. And Maria is just incredible. Isabelle booked me into the Galia trunk show for my second visit and it was then that I met Sharon Sever the genius designer whom since has become an amazing friend to me. A one in a million kinda guy. He brought out the crystal gown, Isabelle’s suggestion, which looked opposite to anything I had my heart set on and I slipped it on and the tears were flowing it was then I got that magic bridal moment of just knowing it’s THE ONE! Even the staff were teary! After a few more fittings I picked up my dress 2 weeks before my big day and actually cried that it was my last visit to Browns! The ladies here are just incredible and I will keep in touch with them forever. They can’t get rid of me, I have been to show Maria my pics and I’ll be back soon for some cocktails with her and Isabelle. I could not speak more highly of my experience in Brown’s Brides. Donna and Sam were incredibly helpful and made me feel like nothing was too much to ask. 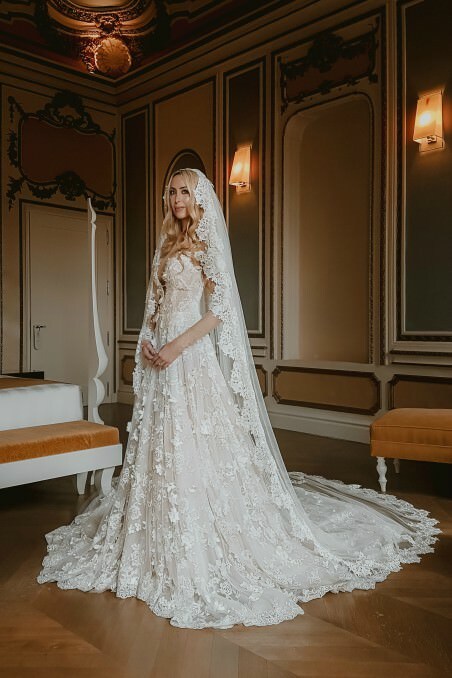 They helped me find my Monique Lhuillier dress – which I absolutely adore! 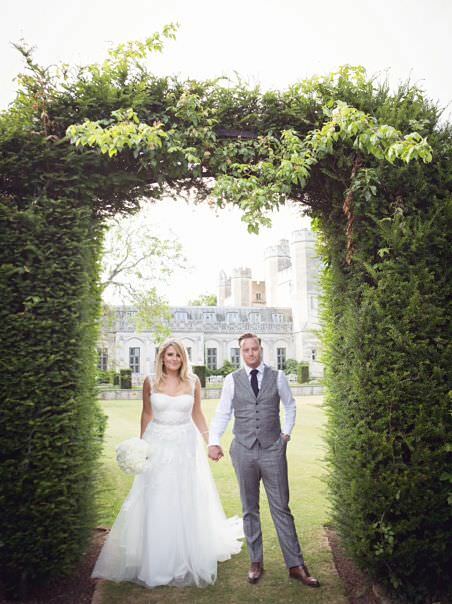 Each visit to Browns was magical and it made the build up to the wedding even more exciting! Thanks again to all the team! Truly memorable experience with Browns Bride. I flew to London for 48 hours for the Galia Private Viewing at Browns, the fabulous Sharon Sever stepped me into my Fiona dress and it was love at first sight… we tried a couple of other beautiful gowns, but both kept coming back to the Fiona. Needless to say I did not make it to any of my other scheduled bridal viewings that trip. I committed within 24 hours, came back less than two months before my white wedding for a couple of alterations and was able to take Fiona home with me. Thanking the Browns team and Sharon for a wonderful and memorable experience. For me, planning a wedding is not only about getting to the end result, but also about all the wonderful experiences along the way. I chose my Marchesa dress from Browns not only because it is one of the most unique and beautiful gowns I’ve seen, but also because Parisa and the Browns team made the experience such a special one. I loved almost every dress that I tried on, and Parisa gently guided me toward finding ‘the one’. Bernadetta made sure the dress fit like a glove, and was a godsend on the day. Browns is a very special place. I not only have a beautiful dress but also wonderful memories. Browns Bride is truly the most magical shop I have ever walked into! 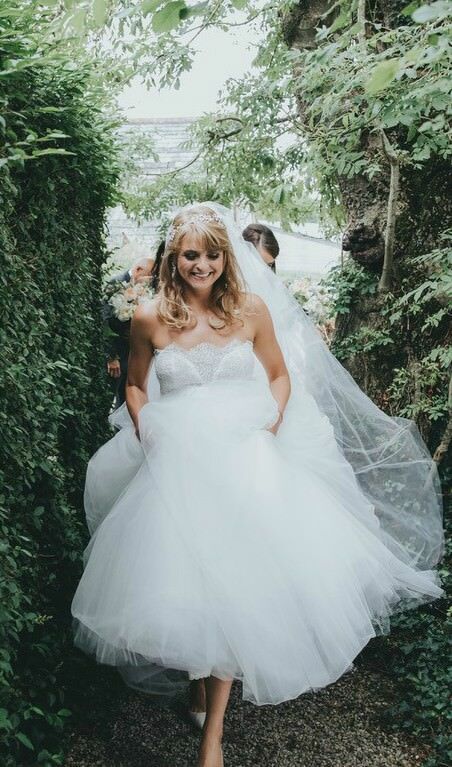 Picking a dress was the most wonderful experience, this was down to the lovely team – Kate and Maria (my seamstress) were absolutely fantastic, they made me feel so special and comfortable during each fitting. I couldn’t have been any happier with my Mira Zwillinger Jules dress, I loved wearing it so much. Thank you Browns Bride! Picking a wedding dress is not as easy as it looks. I had visited a number of stores and was extremely tired and exhausted. I had the best experience with Browns Bride, they provide many dresses by different designers. I fell in love immediately and was at peace. After 30 minutes I had found the ONE….IT WAS LOVE AT FIRST SIGHT! They assured me my Monique Lhuillier dress would be delivered on time and would meet all my expectations. I had just one fitting and was very pleased. They were available at all times to answer all questions I had as I had loads of anxiety as a bride. They are truly professional and extremely experienced. I am very happy and would recommend brides to pay them a visit. Parisa and the team were just fantastic and I couldn’t have been happier with my Marchesa ‘Lilac’ gown. I really feel like a wedding isn’t just the day itself but it’s also all of the little moments of preparation that lead up to it. 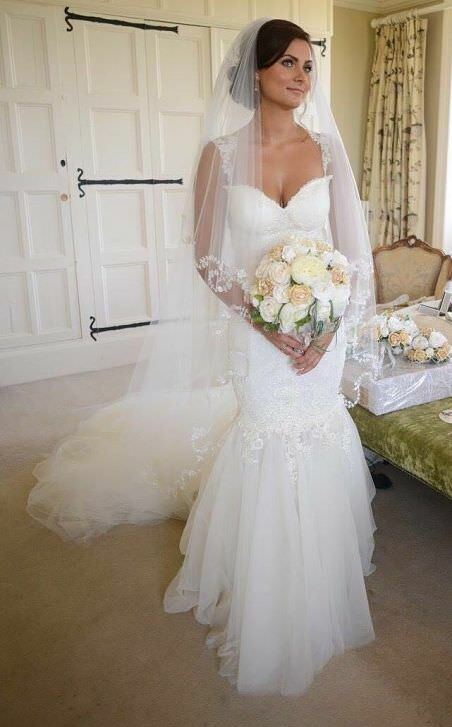 I’m therefore so grateful to everyone at Browns for making my experience of being a Browns Bride so unforgettable. I absolutely adore my Romona Keveza dress. It was the perfect dress for me and I couldn’t have been happier with how it turned out. A number of guests at the wedding and the staff at the wedding venue commented that it was the nicest dress that they had ever seen. 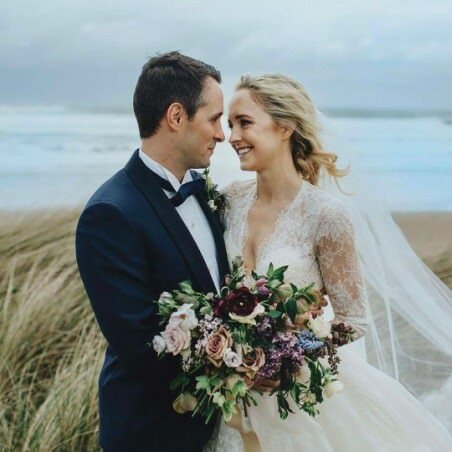 I travelled from County Fermanagh, Northern Ireland to find my dress and for each of my subsequent fittings; each time I was greeted by lovely staff and a glass of champagne. Also, the ladies behind the scenes (Maria in particular) who altered my dress to fit me perfectly done a superb job! Couldn’t have been to a nicer bridal shop! Nothing was too much, the staff were fantastic and friendly. the manger Samantha was a saving grace as I tried on so many dresses before coming to Browns I didn’t know what I wanted. She was very helpful and patient and after my first visit I knew I was in great hands and they would find me the perfect dress, which they did. My dress is amazing thank you! 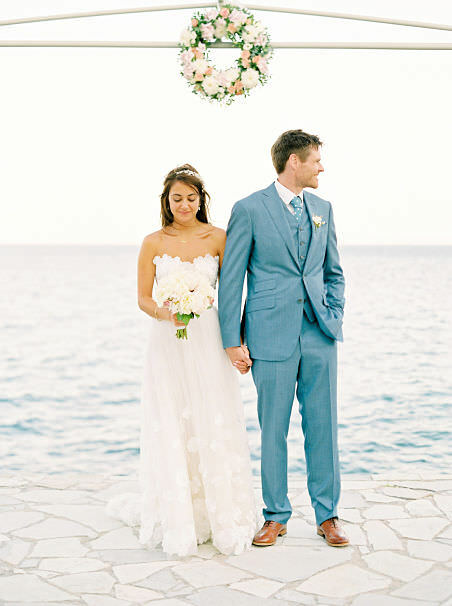 I knew from the moment I started researching wedding dresses that I would find mine at Browns Bride. And I wasn’t wrong! I knew immediately that my dress was “the one” and I couldn’t be happier with it. Everyone at Browns was so helpful and friendly and really did everything to make sure the experience was super special. 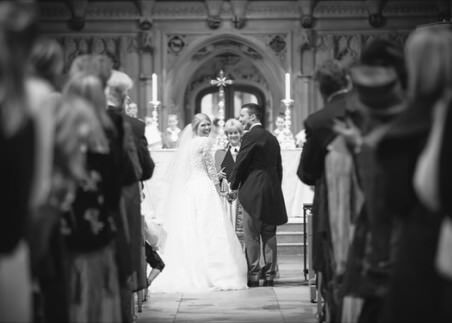 My experience at Browns Bride was all I could have wished for and more when choosing my wedding dress. The staff were so helpful especially as I was stuck between 2 different dresses. But I’m so glad they helped me pick ‘the one’! My experience at Browns was magical. I was looked after so well and made to feel like a princess in each and every dress that I tried on. I didn’t have a particular style of dress in mind and was very open to trying lots of styles on – Browns was perfect for that. Jenny brought out an array of different dress styles and shapes but she just knew what would suit me. The Mira Zwillinger Jules was the first dress I tried on in Browns and it was the dress of my dreams! Jessica wore 'Hazel' by Monique Lhuillier with a custom-made lace top. Isabelle and the entire Browns Bride team were wonderful. I was always welcomed warmly and nothing was too much trouble. I bought my Monique Lhuillier dress, my veil and shoes from Browns Bride and couldn’t have felt more perfect on my wedding day. A special thank you to Andrea, my seamstress, who handmade a lace top to attach to my dress, so that my neckline, shoulders and arms weren’t exposed in the Church. She matched the lace perfectly to my dress and went to so much trouble to find and perfectly place matching beads and flowers. The result was breathtaking. I detached the lace top for our evening reception, which gave my dress a whole new (and equally beautiful) look. 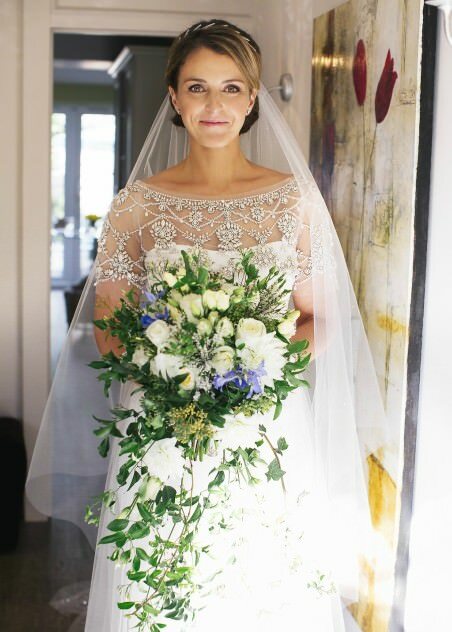 Yvonne wore 'Gwyneth' by Monique Lhuillier with attached sleeves. 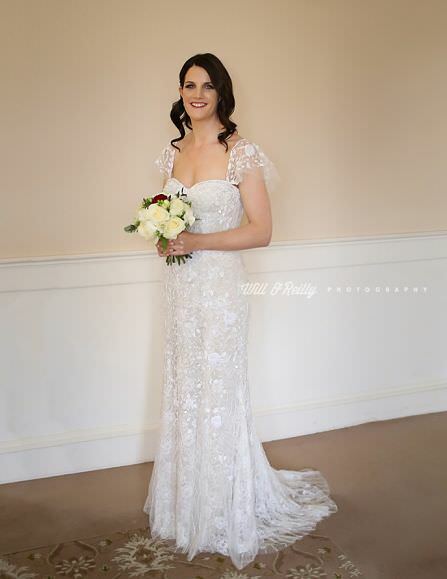 I just wanted to send through a few pics to show my utterly stunning Monique L’Huillier dress from a few weeks ago. It went down a storm and I was so so happy wearing it! Thank you so much for everything, a Brown’s bride is truly spoiled and I had a magnificent experience with the girls. Just adore them and will miss my chats with Maria! 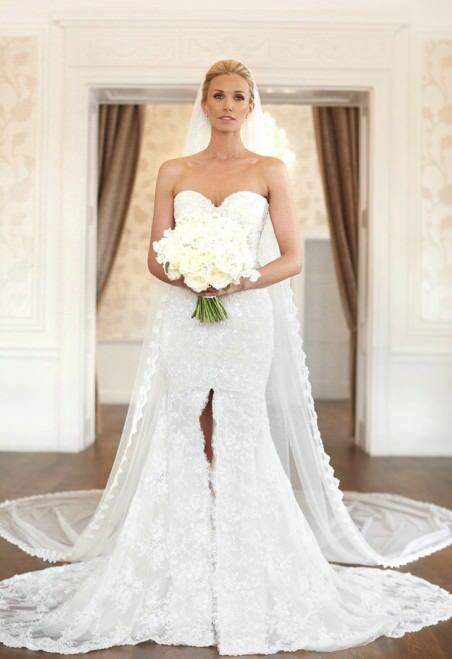 I had an absolutely wonderful experience with Browns Bridal Shop. For me one of the most important purchases was getting the wedding dress right and Browns made it an amazing experience for me. Sam and the team were so attentive, enthusiastic, and personable and went out of their way to help me and were not at all pushy. 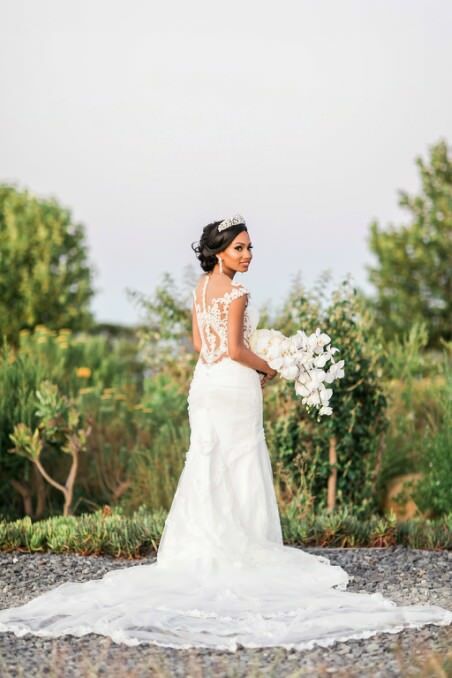 The bridal teams experience and knowledge about how certain dresses would look in certain lighting, scenery and even on body types, the creativity and attention to detail allowed me to relax immediately. Browns have their own in-house seamstress to make sure everything fits perfectly. Andrea was patient, kind and always willing to fit me in for a quick fitting. I chose the beautiful & amazing Monique Lhuillier ‘Romance’ dress; it certainly was the one. 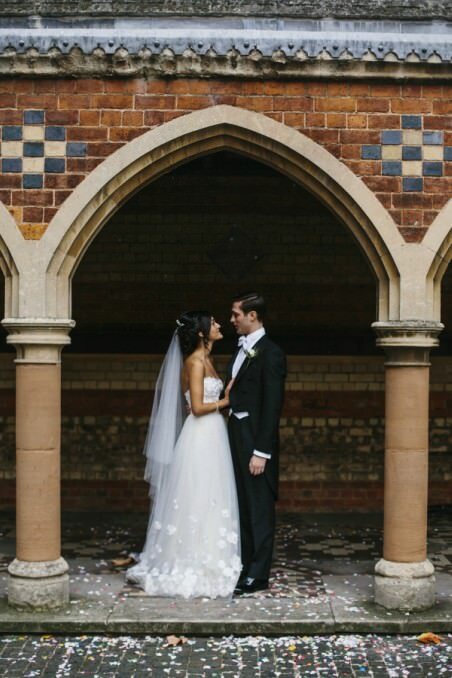 I cannot thank all the staff at Browns enough for making me feel so happy the day of our wedding day. Being a fashion photographer allows me to know all the best brands and designers and of course I knew for a long time the best shop for the wedding dress is Browns Bride. I was excited to attend a sample sale and still wasn’t sure if I will find a dress of my dreams, but I was lucky that day and my perfect dress was waiting for me. As well as amazing assistants of Browns Bride shop, especially Bernadetta Capaja who was so nice to me and helped enormously on that exciting day.